The 14th January 2020 is a very important date to take note of for any business owner or professional working within the IT industry. Especially, Windows 7 users because Microsoft will be abandoning all support for the operating system, meaning it'll no longer receive updates or critical security patches. Traditionally any software/technologies released by Microsoft have a 10-year support life cycle. 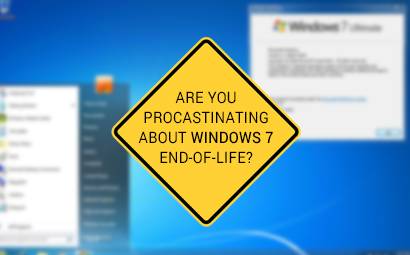 Microsoft have adhered to this with Windows 7 since its release on 22nd October 2009. After that, they focus their investment in supporting and improving newer technologies. "Out of 260, two-thirds of businesses haven't developed a strategy to migrate to Windows 10, while a fifth of those questioned didn't even know Microsoft was withdrawing support." End of Support? What does this mean!? Well...it basically means that you will no longer receive security updates. Therefore, it’s important that you upgrade to a modern operating system such as Windows 10, which can provide the latest security updates to help keep you and your data safer. In addition, Microsoft customer service will no longer be available to provide Windows 7 technical support. For businesses still running Windows 7, moving to a new device with Windows 10 would be the recommended path forward. But, firstly we would suggest assessing your portfolio of devices against their end-of-life (EOL). From there you'll know whether you need to purchase a new device or simply update the software. The outcome of this will be costly for any business, however, with the right level of planning the transition can be seamless. For customers of ATG, our account manager has been creating budget plans to prepare for 2020 and some of those have taken up our range of leasing options. Leasing has been a favoured solution for some as they get an infrastructure refresh whilst spreading the cost over the upcoming years. This has worked out best for our clients’ whose tax year ends in March as it allows them to split the payment across two tax years as opposed to one. If you need any advice or recommendations on which devices would be best for your business, get in touch. No changes will be apparent, your Windows will still continue to run as normal, but why allow yourself to be even more vulnerable to ransomware and other viruses? Look what happened to the NHS in 2017. Despite being warned in 2012 to re-evaluate this, the NHS at the time relied heavily on specialised legacy software. The process of testing new or updated versions of critical software could have disrupted patient care. However, the wannacry outbreak that was let in through outdated operating systems cost them a lot more than it would have if they’d simply managed their IT better. 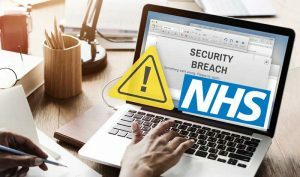 Their negligence resulted in the disruption of 81 English health trusts, leading to the cancellation of an estimated 19,494 medical appointments, including 139 potential cancer referrals. Microsoft does not want anyone, especially businesses, clinging to Windows 7 as they have previously done with Windows XP. However, they cannot ignore that certain businesses rely heavily on legacy software, so if they do keep W7 they need to be protected. Microsoft announced that Windows 7 Professional and Enterprise customers will be able to pay for security updates beyond 2020. Extended Security Updates (ESU) prices have not been announced, however, they have said prices will depend on circumstances. By 2022, though, it may be that the fees are so high that it's actually worth more to Microsoft not to force upgrades. It is understood that the UK government paid £5.5m in public money for a year of extended support for Windows XP. Indicating how profitable extended-extended support could be for the software giant. What other dates should I be aware of? Microsoft has not suggested that it has any plans to make businesses contractually obliged to show that they are working towards migration, as they did with Windows XP. Although, when it comes to something as important as your business security and infrastructure it's not something you would want to risk. Especially if you haven't got all the continuity measures in place to prepare for a "disaster" scenario.